We love festive days because they are excuses to celebrate the people we love most in our lives, and Valentine’s Day is probably our favorite. 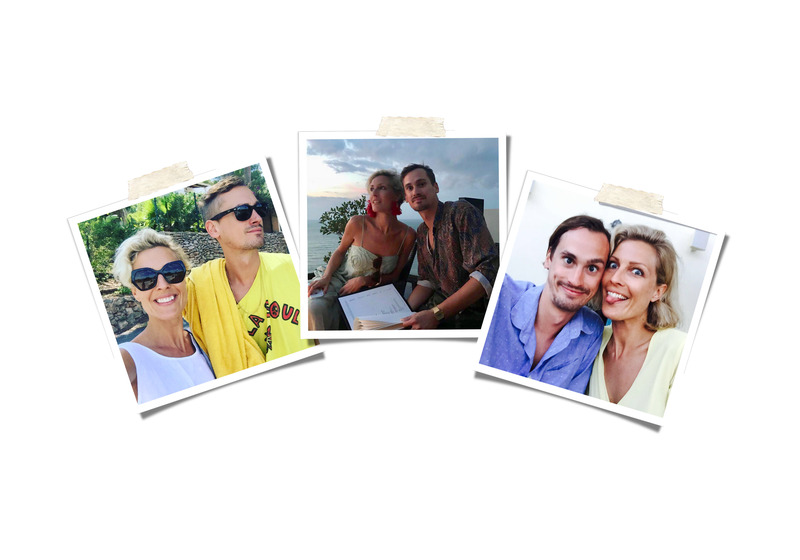 We know that love is universal, yet no two relationships are the same, so we talked to 5 of the coolest couples we know to learn more about their courtships, their quirks, and how two people decide to keep choosing each other every day. Kimberly Carroll & Charlie Toller: They have been dating for 4.5 years. She’s the director of Strategy & Business Development at a luxury fashion PR company, Karla Otto and he’s the director at BRANDBEAT Agency. Charlie: We actually went to school together but didn’t ever speak, she was in the year above. We hooked up years later when I invited her to come stay in France with a friend. What was the most memorable date you had? C: I’d say the best are always the spontaneous dates, rather than those we put too much pressure on. What is your favourite quality about your partner? Kimberly: He’s incredibly passionate about his industry and what he does. He’s a walking encyclopedia of music. C: She makes me laugh. You both love music, what is an all time favourite track you both love? K: Ooh tricky, there are so many. Here are 4: ‘King Bromeliad’ by Floating Points, ‘Revival’ by Soulsavers, ‘Words’ by Sharon Von Etten, anything by Nirvana. C: Phosphorescent – Song For Zulu. What is your favourite dish to cook at home and who cooks it? K: I only cook pasta. Charlie is the real master in the kitchen. He does the best Thai Green Curry I’ve ever had. What was the worst meal they ever cooked for you? K: A sort of, raw-broccoli-soupy-pasta thing about 4 years ago. Makes me gag thinking about it. Favourite TV series to binge-watch together? What is the most annoying thing (could be weird or funny) about your partner? K: He can’t make a decision about really simply things without asking me. For example, ‘should I wear these Nikes or these Nikes today?’ Or ‘I’m a little peckish, should I have an ice-cream or a piece of cheese?’ It drives me absolutely nuts. If you had to describe your partner as a popular fictional character or celebrity who would it be? K: Justin Bieber (before he found God). What is the one secret to keeping your relationship healthy and loving with each other? K: 1. Selective hearing. 2. Don’t take it personally. Is this brand responsible for millennial pink? Could influencers move us towards a more sustainable future? Milan Fashion Week SS19 — What to Expect?